I may not be too keen on Loafe’s scones or their London Fog, but if there is one thing they are good at, it’s chocolate croissants and ambiance. The sun is pouring through the café’s glass wall, with the picturesque tables and curved seats basking in golden light. I’m dressed in a crinkled white shirt, jeans and black flats, topping off the French-ness with an “I woke up like this” vibe which took about an hour to cultivate. 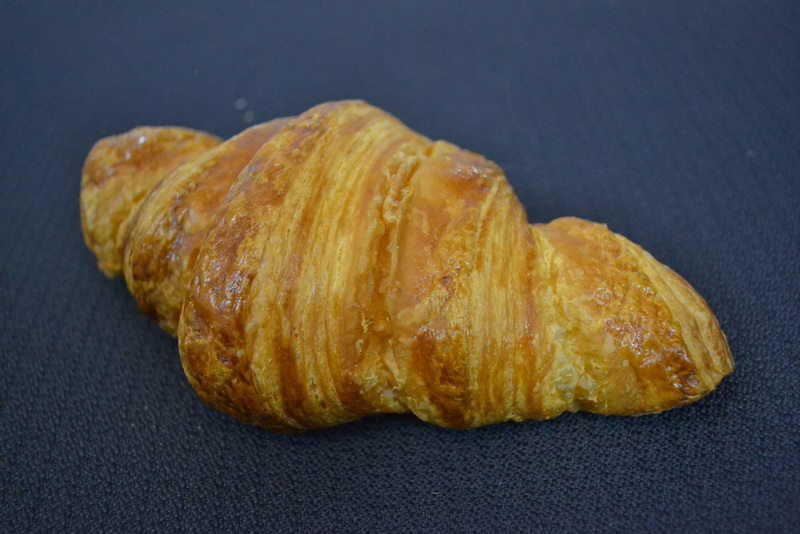 The croissant smells like freshly churned butter and chocolate Santas that you unwrap on Christmas morning. The first bite reveals that the top is appropriately flaky and almost has the consistency of air, while further tasting highlights that the inner layers have a deliciously chewy and tender texture. The centre envelopes a large amount of chocolate, which has a soft and creamy consistency that melts in my mouth. Savouring the moment, I brush a few crumbs off my shirt and take off to my next destination. 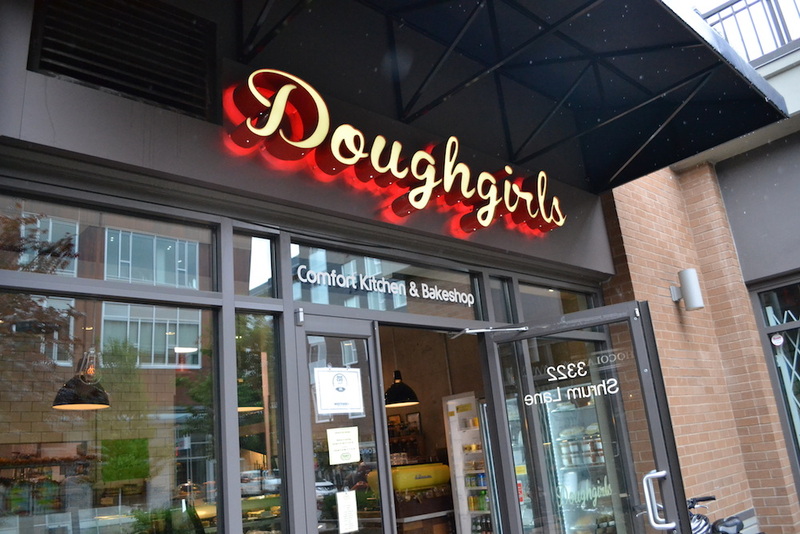 Doughgirls has a very French countryside vibe, which makes sense with the amount of walking it took to get to Westbrook Village. Stepping up to the counter, I order their almond croissant and then head over to a table looking out onto the street. The pastry is fragrant with traces of honey and butter. The first bite of the powdery confection throws me back to my Oma’s house and her excessive inclusion of marzipan in baked goods. The dough is softer and denser with a sweet glaze and chunky almond filling. Unfortunately, the abundance of syrup gives it a sort of slimy, sweet and sticky feel as you swallow it. However, I enjoy the almonds garnishing the surface, as they add a nice crunch to an otherwise more cake-like consistency. Downing a few extra cups of water, I pack up my crumb-covered laptop and make a resolution to walk back to campus and get some exercise. If there was ever a café to dress up for, it’s definitely Au Comptoir on West 4th Avenue. Feeling particularly pompous, I strut confidently from the cool morning breeze and into the classically Parisian café. Jazz is playing in the background. I try to look busy while enjoying the Parisian décor, and even attempt to pick up on some of the things the Francophone waiters say to one another. 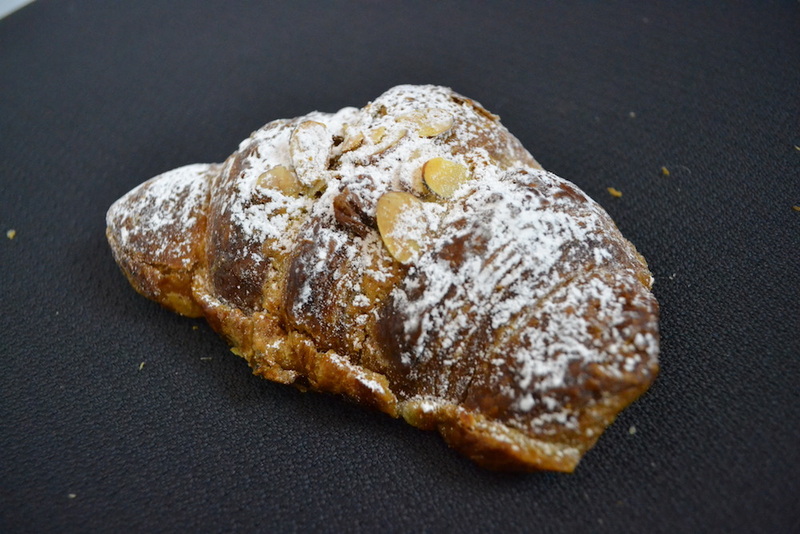 I can feel that the butter croissant has a substantial weight to it in comparison to the croissants from Loafe and Doughgirls. It is fresh from the oven and the first bite is warm and crunchy, getting hotter as I reach the centre. The pastry’s decadent yet simple interior is the perfect opposite to its light and crispy exterior. 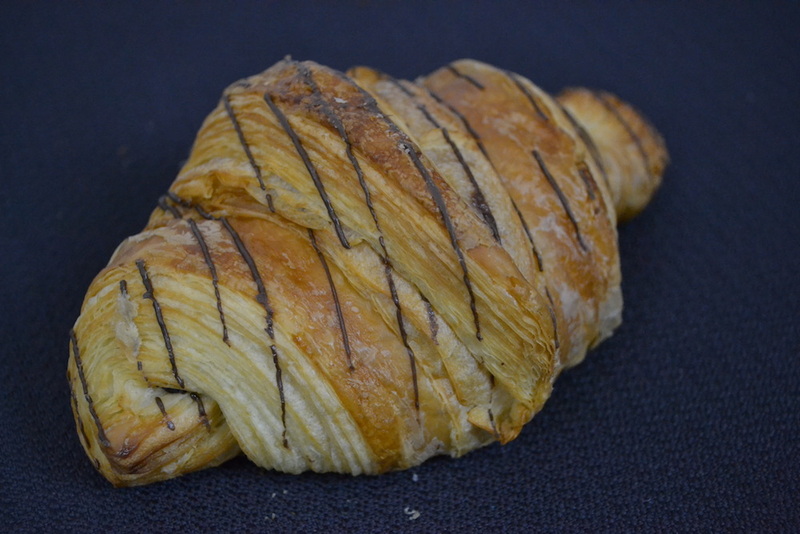 The butter croissant isn’t sweet at all, which makes the experience more reminiscent of eating a hot roll than of a dessert pastry. While its lack of added components may have made me skeptical, the buttery flavour and overall French-y experience of the café makes this breakfast anything but plain. Now bursting with butter and feeling exceptionally classy, I will guide you on how best to fill your tummies and your egos. For le croissant parfait, I recommend both Loafe and Au Comptoir. 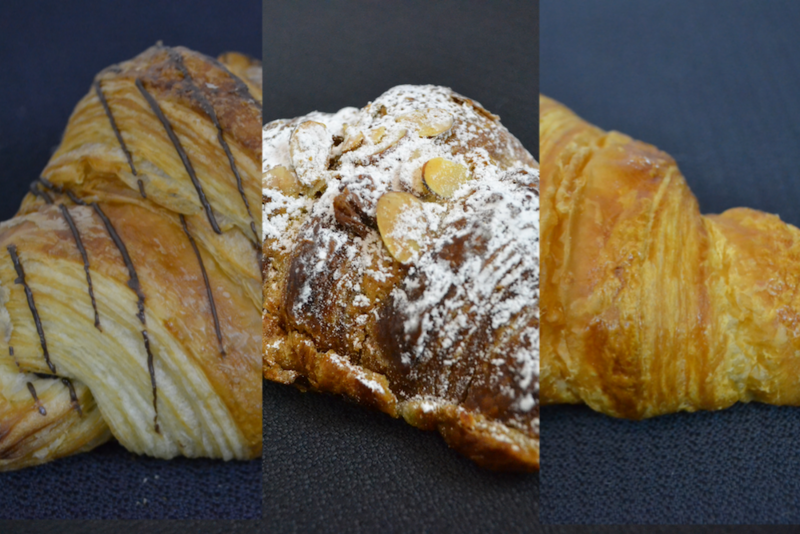 Loafe contributes an open and light atmosphere, a delicious chocolate croissant, and the ease of being on campus. 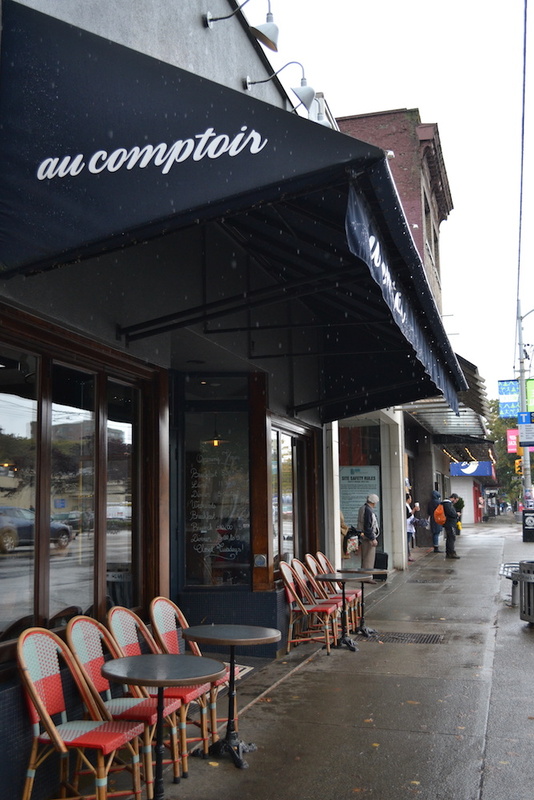 However, if a student had the daring, the desire, and the need to practice their French and explore Vancouver, I would definitely send them to Au Comptoir. With a Parisian vibe, fall leaves scattered across the pavement and servers who actually speak French, this café makes for either a cute date, or a great place to people watch, munch and eavesdrop. Bon appétit!